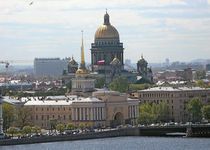 St. Petersburg, September 4, Interfax – On the eve of G20 summit in St. Petersburg, over 100 organizations advocating family values and representing civil society in the 33countries signed a statement to support the law recently adopted in Russia that bans propaganda of non-traditional relations among children. “Natural family set up by the way of marriage between man and woman is a foundation of every human society and has a right to be protected by society and state, which is fixed in international norms on human rights, including Universal Declaration of Human Rights,” the document conveyed to Interfax reads. In conclusion the authors of the statement urge to respect sovereignty of Russian people and ask all people of good will to support Russia, as well as Ukraine and Moldavia that face the same foreign pressure in connection with similar legal norms. Organizations from European countries, Latin America and the USA, including such international structures as the World Congress of Families and European Large Families Association supported the statement. Spanish organization Professional for Ethics initiated the document.